On the eve of World AIDS Day, Nono Simelela, Special Adviser to the Deputy President of South Africa, speaks to HEALTH-E’S Kerry Cullinan about working under Manto Tshabalala-Msimang and how far South Africa has come in the fight against HIV. These are the recollections of Nono Simelela, who was the head of the government’s HIV response from 1999 until her resignation in 2004. Simelela was the government’s face of AIDS and she was being squeezed from all sides. President Mbeki, aided by Health Minister Manto Tshabalala-Msimang, questioned the existence of AIDS and the safety of antiretroviral medicine. The Treatment Action Campaign (TAC) unleashed its fury at her and at one stage TAC leader Zackie Achmat publicly accused Simelela of being a murderer. “It was not as if the entire Executive didn’t believe in ARV treatment,” says Simelela. “There were those who understood the science and had lost loved ones. But their approach to policy development was to develop consensus on this contentious issue. We only achieved a breakthrough when President Mbeki was pulled back from talking about AIDS. When he stepped back, the path towards an evidence-based policy opened up. “But it was a very tricky game. As technocrats, we had to navigate carefully so we would not be seen to be pre-empting the executive decisions. We had to find allies. One of those allies was Joel Netshitenzhe, head of the Policy Unit at the time. He helped to get the Comprehensive Treatment Plan tabled at Cabinet when Manto refused. “Manto would stump us because she had to sign off on things before they went to Cabinet and she would wait until the deadline for tabling issues at Cabinet had passed. The only way the treatment plan [passed in November 2003] got to Cabinet was through Joel, who ensured that the submission was included and discussed by the eecutive. President Mbeki was out of the country when the plan was approved. It was one of the best days in my life. Finally, the war was over and we could get on with the business of saving lives. Despite Cabinet approval of the plan, Tshabalala-Msimang stalled its implementation. 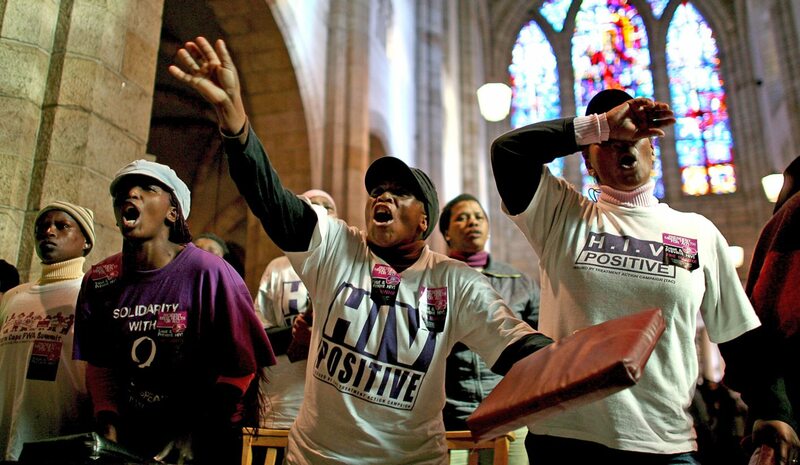 “She was refusing to sign off on permission for the AIDS Directorate to issue a tender for ARVs. This made me resign. Simelela had organised a job outside the country, in part to avoid being hounded by the media. But Tshabalala-Msimang warned Simelela that she would have to explain herself to the leadership. She was summoned to a meeting with the Deputy President, Jacob Zuma, who was the chairman of the SA National AIDS Council (Sanac). But instead of lashing out at her, he was understanding. “The Deputy President asked me to promise that when I recovered, I would come back. I felt relieved that someone understood me. I have always wanted to be a public servant, so I was glad that I could return,” says Simelela. This is an extract from Turn-around: The story of South Africa’s HIV response, published by UNAIDS.